Ideal for virtually any permanent or temporary chemical transfer application, Tygon® UV Resistant Tubing combines suppleness and flexibility with resistance to a wide range of chemicals. It shows exceptional resistance to strong acids and many alkalies. The flexibility of Tygon® UV Resistant Tubing makes it quick and easy to put into service, providing considerable savings on installation time and cost. Black in color, it is resistant to ultraviolet light, ozone and weathering, making it ideal for many outdoor applications. Standard inventoried sizes of Tygon® UV Resistant Tubing have sufficient wall thickness to block transmission of all UV light. Additionally, in-house testing indicates a UL 94V-O and UL 94HB flammability rating. 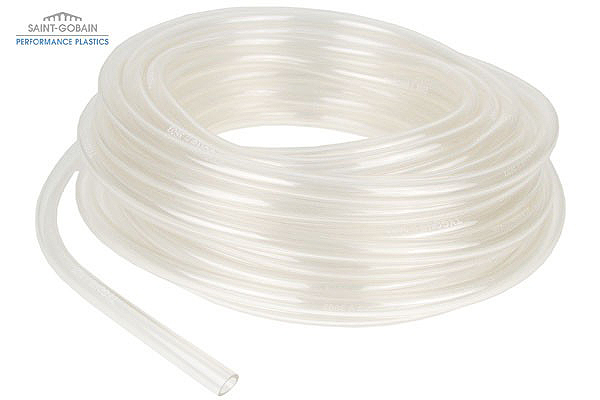 Ideal for virtually any permanent or temporary chemical transfer application, Tygon® UV Resistant Tubing combines suppleness and flexibility with resistance to a wide range of chemicals. It shows exceptional resistance to strong acids and many alkalies. The flexibility of Tygon® UV Resistant Tubing also makes it quick and easy to put into service, providing considerable savings on installation time and cost when compared to rigid piping systems. Black in color, it is resistant to ultraviolet light, ozone and weathering, making it ideal for many outdoor applications. Standard inventoried sizes of Tygon® UV Resistant Tubing have sufficient wall thickness to block transmission of all UV light. 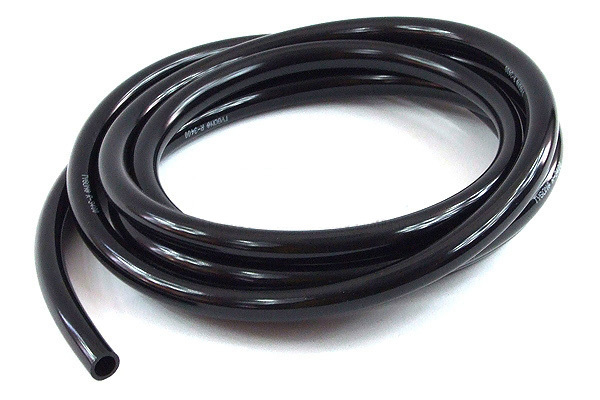 Tygon® UV Resistant Tubing will meet UL 94V-0 and UL 94HB flammability ratings. Specifying Tygon® UV Resistant Tubing for use in equipment that requires specific burn characteristics can help to simplify the approval process.